At a time when the world is debating about the profits and losses of genetically modified crops and about people developing resistance to medicines due to irrational use, there are some who are promoting the fundamental principles of nature, through Ayurveda. Ayurveda which is often termed as the science of life is something that many of us turn towards to look for an antidote to modern day maladies which are often lifestyle related. Obesity, spondylitis, diabetes, arthritis, and premature ageing, Ayurveda has provided the answers to all of them and more. Quite a few places for rejuvenation today offer people treatments for these ailments based on Ayurveda. Though she had made her mark in the beauty sector Chandani Bandara’s true passion lay in venturing into the Ayurveda sector. 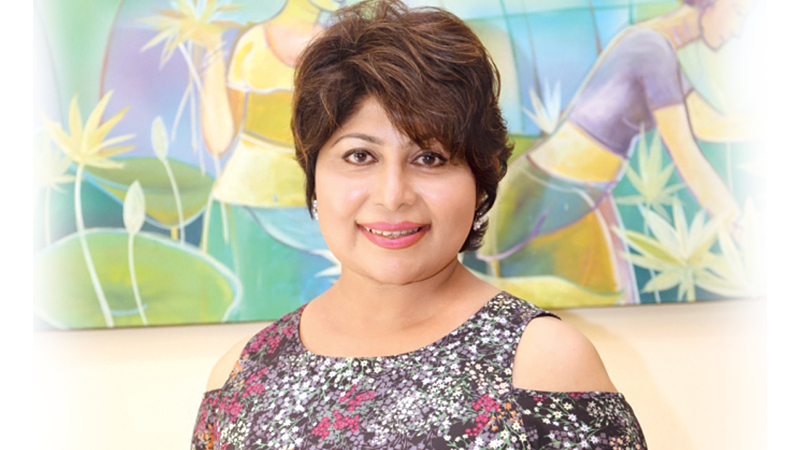 The founder of the well known brand 4Ever Skin Naturals blended the knowledge she gleaned from her father, a well known ayurvedic practitioner, with the modern findings related to the sector a had come up with product range titled ‘POP’ (Power of Plants). Enriched with the essence of herbal medicine, the range boasts of three prominent products Pas Panguwa (Liquid), a well-tested treatment for fever, cough and pain, Pawatta Thal Sukiri Syrup to fight cough and Nelli Rasankinda drink. Pas Panguwa is often used to combat colds, fever and other related symptoms. It has been a herbal formulation that many of our ancestors have relied on for generations. Though the term is not new to the modern society but many modern housewives find it a challenge to find the herbs used to make the medicinal drink and also to spend the necessary time preparing it. “I wanted to make use of the ayurvedic knowledge that I got from my father before I even launched my cosmetic range. People have begun to realize the value of herbal medicine. This is a safe way to lead a healthy lifestyle. You can also enhance your beauty by drinking these herbs as they cleanse the system. They are all free of side effects,” she said. “Our body has a tremendous healing ability. We just have to support it by taking natural things. Our system is being bombarded by the environment, food and our modern lifestyle,” she said adding that it is definitely more beneficial to turn towards nature rather then take in artificial substances which give quick solutions. Quick-fix symptomatic treatments come with side effects. People are consistently looking for safe alternatives to manage their disorders. They search for something which they can get the same relief without strong toxic medicines. “Hundred percent natural products do not give instant results. However constant use will help a person lead a healthier lifestyle. Getting beautiful complexion is an added bonus for going natural. It is important to recognize what a pure natural product is. There are no preservatives included in these products,” she stressed. Pas Panguwa denotes the meaning of five portions. Mollugo cerviana, Solanum virginianum, Coriander seed, Long pepper, and Ginger make up these essential ingredients. 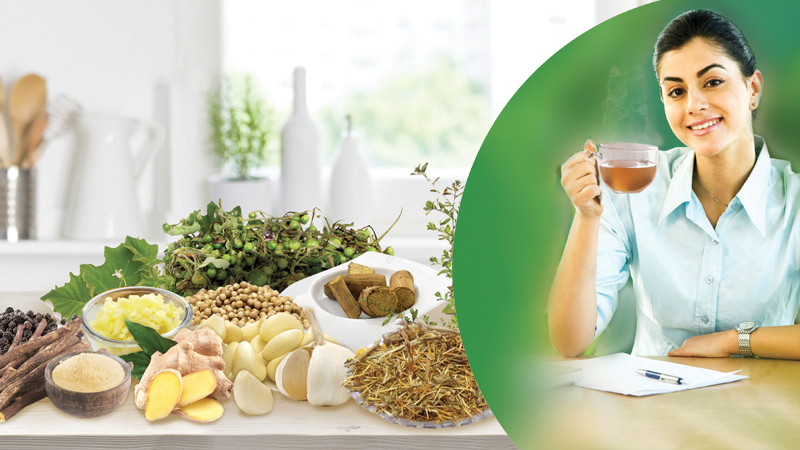 Sometimes more natural ingredients are added to enrich the herbal drink. “It just takes a bit of hot water to make these natural herbal drinks. So it has not become a time consuming activity to make Pas Panguwa like they did in the past because all the goodness is now available in a packet to brew and serve according to your taste. The Nelli Rasankinda drink does not contain any sugar so even those who are suffering from illnesses like diabetes can drink it without any concerns,’ she said adding that you can substitute it for tea as it is a natural antioxidant. She notes that herbal teas are very popular abroad. However many of the teas which they have been branded as ‘herbal’ are not really herbal drinks. “We get a lot of demand for these types of herbal medicine and drinks from countries like Australia. They have realized that they are more than merely a home remedy for minor seasonal ailment,” she said adding that she and her team are in the process of finding more natural products which will help people lead a healthier life.